Large studio with a porch that sleeps 3 people in a quiet location. 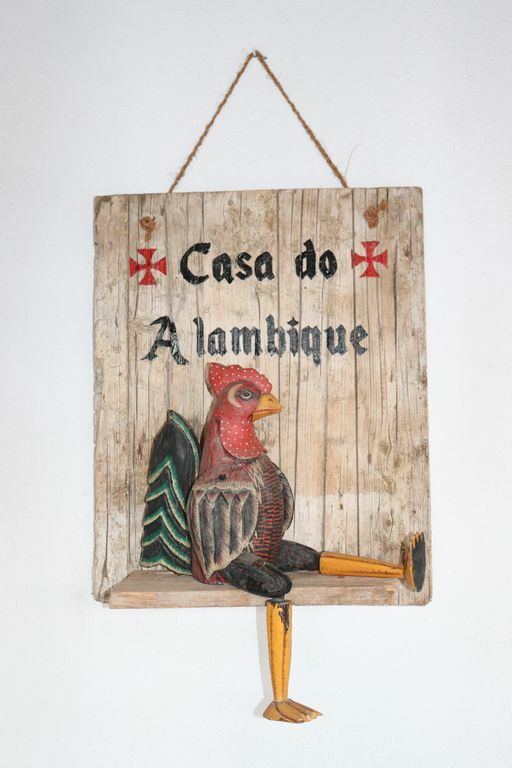 Located just 3 minutes from the center of Tomar, the Casa do Alambique is a rural accommodation in a very quiet area, so that you can enjoy the silence of the countryside and rejuvenate your strength to discover a city full of history and cultural events. You can also visit the river beaches that are a few kilometers away, enjoy the gastronomy of the region through the wide offer of restaurants of great reputation and quality, visit villages and aqueducts, among other activities that the region offers. Casa do Alambique is a large studio with accommodation for 3 people in a double bed and a single bed. A further child can also be accommodated on request. • Usufruct of the wood-burning barbecue that is outside, for the preparation of healthy grills. Although there is no piped water inside the studio, the house has a comfortable and generous porch where you can find an old stone washbasin that facilitates the preparation / washing of the food and utensils to use. The private bathroom is accessed through the porch, which, although not completely enclosed, is protected in order to guarantee the privacy of the guests. Bicycles are available for guests' use.